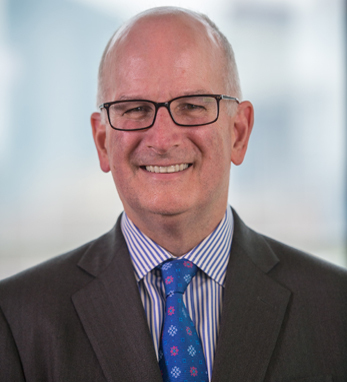 Kevin Mahoney is the Executive Vice President, Chief Administrative Officer and Executive Vice Dean at Penn Medicine. As such, Kevin is an integral part of a leadership team overseeing a $6 billion enterprise dedicated to advancing science, providing extraordinary patient care and jobs to nearly 30,000 employees. Penn Medicine is steeped in history including the nation’s first medical school and first hospital. Kevin joined Penn Medicine in 1996 as Director of Network Development. Since then, he has served in numerous leadership roles, including as executive director of Phoenixville Hospital, chief operating officer for Clinical Care Associates and Senior Vice President of Penn Medicine. He graduated from Millersville University with a B.A. in Economics, received his M.B.A. from Temple University and is currently enrolled in the doctorate program at Temple University. He is active in his community, including serving as past president of a local school district, and the United Way and Community Volunteers in Medicine. Kevin, who is a second-generation Irish American with roots in McGillicuddy Reeks (Kerry), Ballymoe (Galway) and Cork City, says, “I have fond memories of the traditions my grandparents brought to America. I am proud of the strong core values of family, community, and hard work that my grandparents instilled in me.” He and his wife Pamela have three children.